Navigate BioPharma is a biopharmaceutical company and subsidiary of Novartis focused on providing and meeting the increasing demand for specialized services in oncology clinical trials. 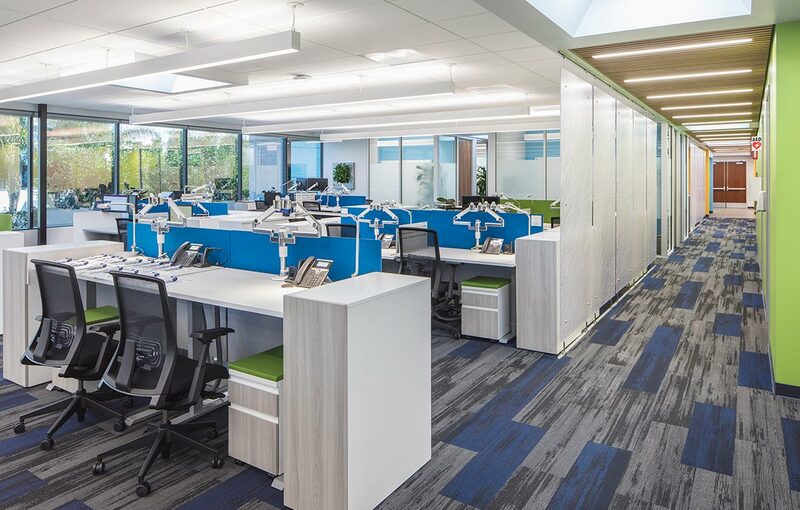 FPBA was brought in for a 25,000-square-foot lab-office tenant improvement for NAV-2 adjacent to the NAV-1 building in Carlsbad to accommodate the growing needs of the company. 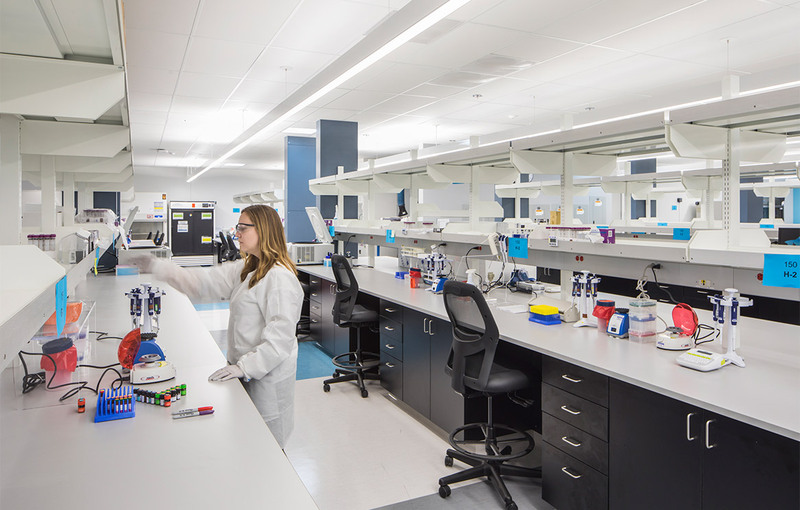 Navigate needed to bring the new building up to the quality of NAV-1 and integrate with the Novartis space standards while maximizing available laboratory space. 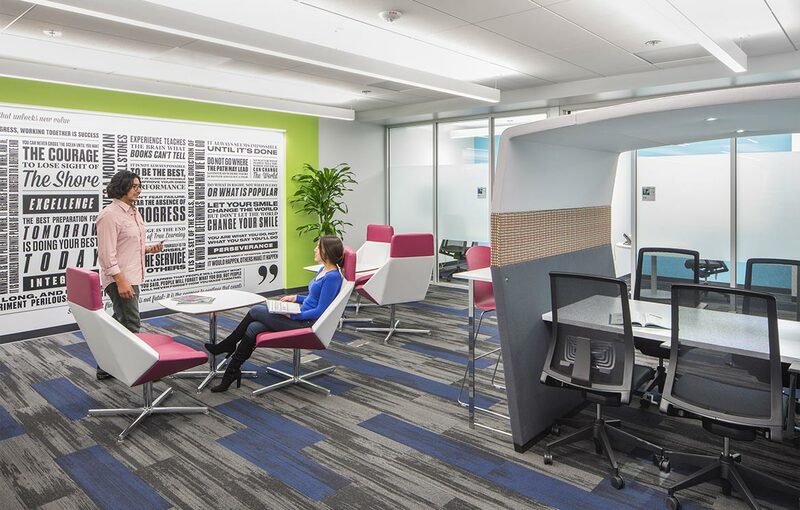 With higher density in open offices, the Navigate users were concerned about privacy and acoustics being compromised. 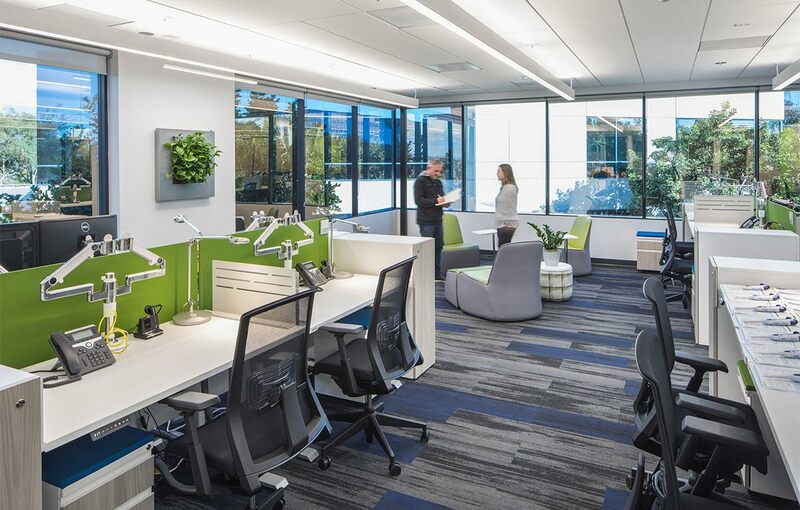 Through careful selection of functional, ergonomic workstations, and a wide variety of conference room sizes and casual meeting areas, the team developed an efficient plan clustered into neighborhoods. 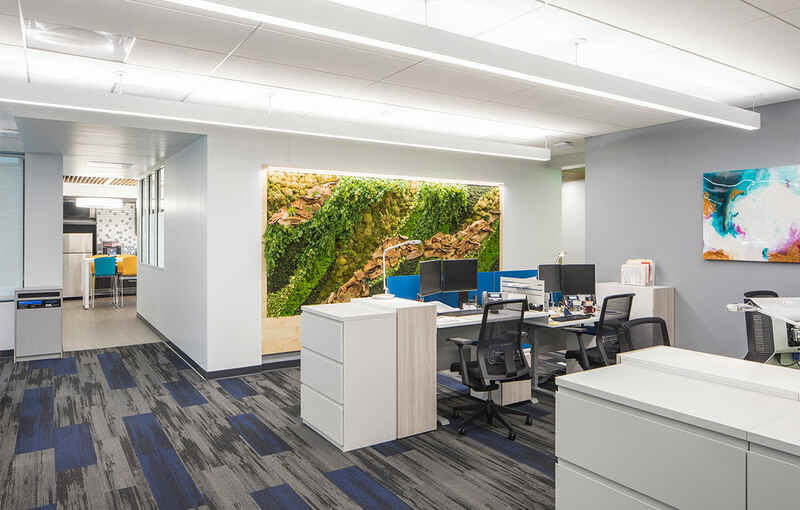 FPBA created a design that combines a lively color palette with elements of nature by utilizing tubular daylights, wood ceilings and living green wall panels to bring the office to life. One large undivided laboratory provides the ability for scientific groups to share equipment and flex in size as technologies change. 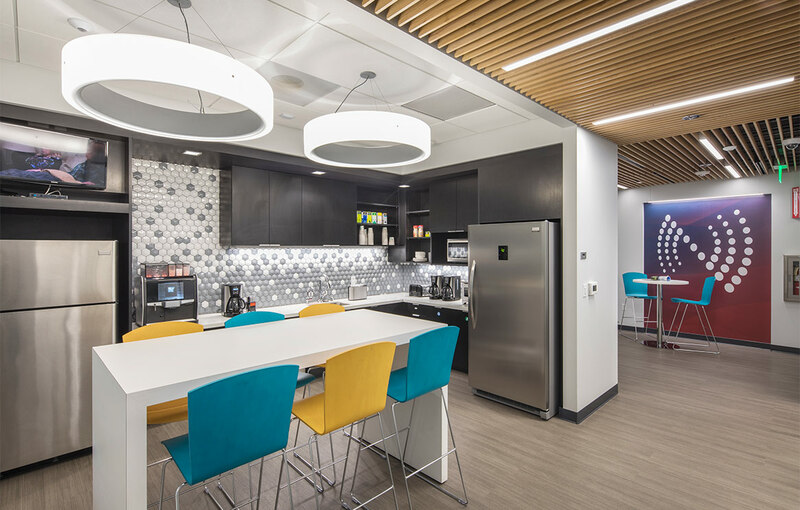 The completed NAV-2 space represents an evolution of NAV-1 that provides equal comfort in a smaller space, allowing more room for growth and increasing Navigate’s capability to advance its science.